WARRANTY LOADED LE PACKAGE SEATS 8!! REAR CAMERA EVERY SERVICE RECORD DVD ALL BOOKS WIRELESS HEADPHONES QUAD SEATING REMOVABLE SEATS REAR CAMERA BRILLIANT SILVER ALL ORIGINAL FRONT TO BACK This van is loaded with power options and rear shades on 4 windows, abs brakes, keyless entry fobs, dvd, alloys, new tires, alarm, and all power doors! A 5year/100k mile additional service contract is available and can be used at any Toyota dealer nationwide. Typical Toyota in every way. Runs smooth and tight. Very easy to own and operate and room for everything. So clean inside and out. 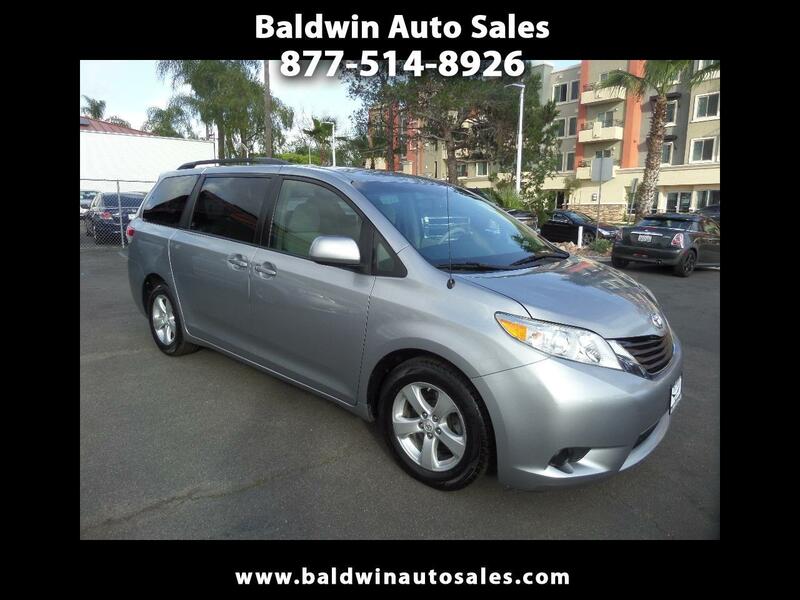 Take up to 8 of your family or friends in this ultra comfortable and convenient van. Turn key and go.